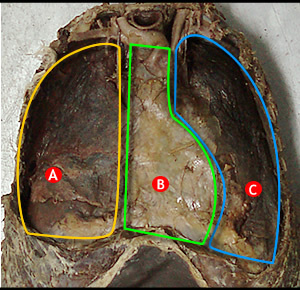 Parietal pleura: Lines thoracic cage, mediastinum and superior surface of the thoracic diaphragm. Also projects above the 1 st rib and the clavicle into the neck. 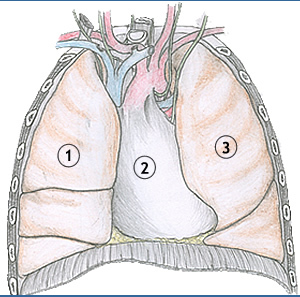 The pleural cupola: or cervical pleura.